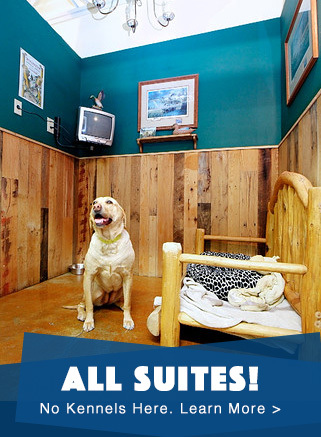 Dogs love to stay at Truckee-Tahoe Pet Lodge because we are NOT a typical dog kennel or dog boarding facility. We’re a high quality, full-service All-Suites Dog Resort run by pet-owning and pet-loving caregivers who will treat your pets like family, giving them the expert care and attention they require and deserve. 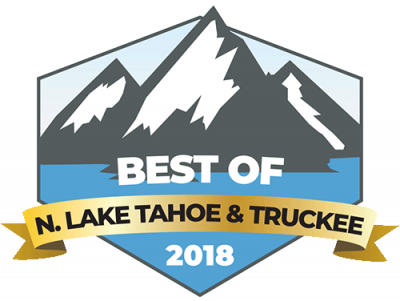 We’re conveniently located in Truckee, CA and recommended by the area’s leading veterinarians, pet parents and families vacationing in the North Lake Tahoe area, with boarding as low as $37.95 a night plus activities. We know that your main concern is to leave your dog with someone you can trust, so that’s why Truckee-Tahoe Pet Lodge makes your pets our first priority. That’s why pet parents in the North Lake Tahoe area choose our expert staff to provide the best pet care possible. Excellent, friendly service! Was happy to leave our two Jack Russell terriers here. The dogs seemed to enjoy their stay too and I would not hesitate to recommend Truckee-Tahoe Pet Lodge to anyone. We will definitely be using them again. We understand that you may be anxious about leaving your dog with someone else while you are away. For this reason, we’ve taken all the steps necessary to ensure that your pet feels safe, comfortable and loved while they are staying with us in our climate controlled facility. With more than 1500 square feet of indoor play area and 4000 square feet devoted to outside play, we make sure that your dog has a great time while boarding at Truckee-Tahoe Pet Lodge. We continuously monitor and supervise your pet both indoors as well as outside in our secure fenced-in facility. I love my dog as family and therefore I am so happy to have the Truckee Tahoe Pet Lodge family to care for my dog when I am out of town. They are the best! Each dog is unique. At Truckee-Tahoe Pet Lodge, we understand that our canine guests may require different accommodations or care based on breed, age, personality or special needs. Please review our Frequently Asked Questions page and discuss any special requests with us when you make your reservation and we’ll be happy to make your pet’s stay exceptional.